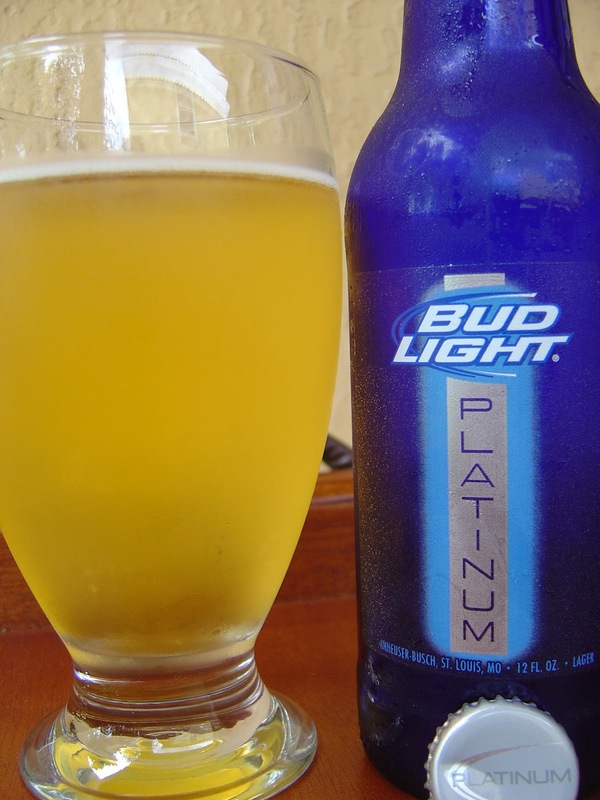 Today I'm drinking Bud Light Platinum brewed by Anheuser-Busch in St. Louis, Missouri. So this is the higher-alcohol brother of Bud Light. Talk about innovation! This beer comes in a cobalt blue glass bottle. Nutrition facts are as follows, printed on the back: Per 12 Fl. Oz. Calories 137. Carbohydrates 4.4g. Protein <1g. Fat 0.0g. They say curiosity killed the cat. We'll see! Grain and corn, smells exactly like Bud Light, and not very strong. Grain, corn, very sweet. Some vegetable mush flavors, kind of strange. Better consistency than normal macro, smoother. The 6% alcohol is noticeable but mostly buried under that sweetness that overrides all else. Funny grainy aftertaste. Too sweet and too corny. I could have finished it but I didn't. I didn't like it, for those of you that need me to spell that out. Firmly below average!